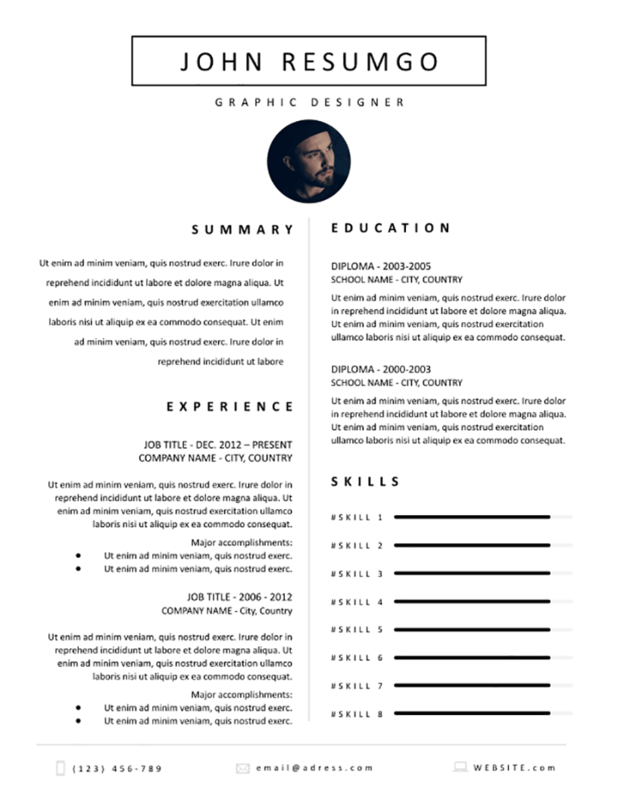 Selene is a classic resume template, with a 2-column structure and a clean professional look. Your (uppercase letter) name goes on top, centered and with a border. Under your job title, insert your photo ID within a circle shape. On the left: your profile, objective statement, and your professional experience. On the right: your education, and skills (horizontal bar charts). Finally, your contact information (like the phone number, email address et website) is displayed in a full-width footer.